Join us on Thursday, November 15 at 5 p.m. at Local 802 in the Clubroom. Come relax between gigs and enjoy live music! Your donations will support the Local 802 Musicians’ Emergency Relief Fund, which helps musicians in need. For more information, contact Bettina Covo at (212) 245-4802, ext. 152. New York City-based saxophonist and clarinetist Frank Perowsky is a a freelance musician who throughout his career has toured or performed with such artists as Peggy Lee, Sarah Vaughan, Billy Eckstine, Stan Getz and has been member of the big bands of Jimmy Dorsey, Woody Herman, Les and Larry Elgart and Mike Longo. He has recorded with Tito Rodriguez, Johnny Richards, Bill Watrous’ big band in the ’70s, Roland Hanna and Liza Minnelli to name a few. 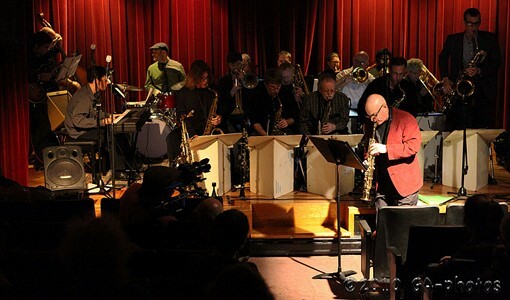 Since 2007 he has led his own 17-piece big band which has made appearances at such venues as New York City’s the Bowery Poetry Club and the Baha’i Center’s Jazz Tuesdays series.